Bitcoin venture capitalist funds are on the rise year over year and 2015 has particularly been an interesting year so far. The total amount of VC investment between January 1st and the time of writing exceeded the total investment amount for all of 2014. These numbers are in stark contrast to the investments in US stocks, as those numbers are dwindling. Investing in the stock market has always carried certain risks with them, yet also offers a chance for major rewards if done correctly. It takes money to make money, and there is used to be no better option than investing in US stocks, as they offered some of the best projected profits. But even that paradigm has shifted, as investors are moving away from US stocks in 2015. The major purpose of the stock market is for investors to invest funds into the United States economy, at the expectation of achieving a return of income, or even profits, in the shortest time span possible. In recent times, investments in companies on the day of their IPO has been a great way to make a quick profit, although these practices are harmful to the companies themselves. Stock market investors have traded the US stocks in favor of European and Japanese stock markets, as they are looking at alternative and better ways for their capital to grow. Even though there have been signs of investors moving away from US stocks in the past 18 months, the “movement” only gained traction when 2015 came around the corner. According to recent statistics provided by Morningstar, a total of $64 billion has been withdrawn from US funds, while $158 billion has been invested into international stock funds. The reason for this shift is easy to explain: US stocks have been rather flat all year, whereas overseas markets are booming and providing gains reaching double digit gains. There are certain correlations between the stock market and Bitcoin venture capitalist investment. Both areas of finance are seeing a great deal of money changing hands, and both are subject to influences from the technology industry. Most of the profitable stocks these days come in the form of technology-related companies, whereas other traditional company categories are seeing less growth. Investors are flocking towards companies involved in technology due to the accelerated evolution of this field. Our society has become technology-dependent for most everyday activities, and any hint of promise to improve our tech standards is worth looking into. Every investor wants to be part of the next big thing at the lowest possible price. The same principle can be applied to Bitcoin startups, a market seeing a major increase in terms of venture capitalist investment. In the hopes of achieving a quick return of income, as well as the potential for scoring a profit, investors are keeping a close eye on companies exploring the Bitcoin technology. At the end of the second quarter of 2015, a total of $375 million had been invested during the first six months of this year. 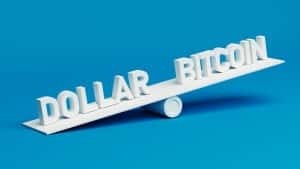 Even though Bitcoin as a currency may not be making too much headway among investors for the time being, the underlying blockchain technology is showing healthy signs of promise. Developers are only exploring the tip of the iceberg in terms of technological advancements to be achieved by adopting the blockchain. Increased venture capitalist investments in Bitcoin startups indicate that Bitcoin as a whole has a better chance of survival once people start looking past the current price. Both the Bitcoin ideology and underlying technology are of great value and benefit to the entire world, regardless of whether the monetary aspect of Bitcoin becomes a part of that.